Throughout the world when the Christmas holiday season is upon us one of the most popular traditions involves decorating a tree with ribbon and small ornaments, a string of lights that flash, and of course the magic of stacking gifts for loved ones under the bottom branches. Usually the decorated Christmas tree takes pride of place in the corner of the room or beside the fireplace for several weeks, until it is finally removed on the day of Epiphany (6th January). In ancient northern European cultures before the Greeks and Romans had built their empires, evergreen trees were considered magical and able to resist the darkness of winter when everything else died. The priests and villagers of the time would gather around the tallest evergreen every year at the winter solstice and pray to the gods for the return of the sun and the warm weather that let their crops grow and the animals multiply. It seems strange to 21st century people to think that summer wouldn’t return but thousands of years ago people only knew that winter was a harsh and bleak time. They knew that the sun comes and then goes, and then returns again but their lives were so precarious, and populations so small that they were only able to stockpile enough food and firewood to last thru the winter and if the sun didn’t return they’d perish. In this context it is easy to understand the magic that evergreen trees obviously had. Ancient Egyptian society were known to appreciate the value of evergreen trees as well and would bring palm fronds into their homes and temples at the winter solstice which symbolized the importance of life over death. The ancient Egyptians strongly believed in an afterlife and the concept of resurrection, and palm fronds which remained green became a symbol of eternal life. 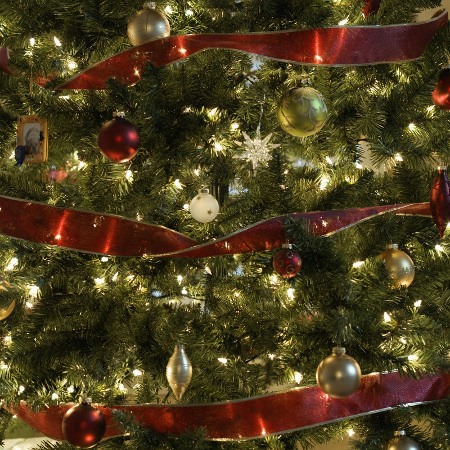 Many Christians misinterpret these passages as indicating that the Christmas tree are an un-Christian pagan activity which should be discontinued. In fact most Christian scholars agree Jeremiah is instead referring to the pagan practice of cutting and turning timber into an idol which was then decorated with gold and silver and worshipped as a god. There is no historical evidence to suggest that the Christmas tree, or indeed any decorated tree, ever formed part of the pagan traditions of the Holy Land. During the Roman era a festivity known as Saturnalia was one of the most important events in the Roman calendar, occurring at around the same time as Christmas is celebrated. The 25th of December was originally the end of Saturnalia but after Roman centurions conquered Babylon the 25th of December which was celebrated by Babylonians as the day of birth of their sun god Mithra found its way into Roman society as many Romans adopted Mithraism as their main religion. Yet it should be said the Romans were polytheistic and many mithraists would have continued to worship traditional Roman gods as well. Mithra so legend tells was also born from an immaculate conception and predates Christian and Roman beliefs by two millennia having been the most powerful god of pre-Babylonian societies such as the ancient Persians and Vedic peoples of Northern India (known as Mitra in Vedic). 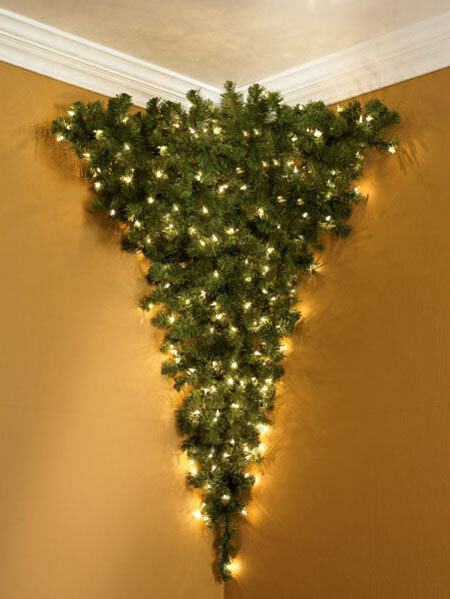 Mithra’s birth was celebrated every year by the decorating of an evergreen tree in the homes of worshippers. A fir tree was traditionally decorated by Roman citizens and gifts placed under the tree just as modern Christians do, although after the fall of the Roman Empire the practice of decorating a tree as had been done during Saturnalia fell into disuse in most parts of the Christian world. The Catholic Church of the time attempted to eradicate all pagan traditions and was forced in 274AD to adopt most pagan holidays and give them new meaning to reduce the more unsavory aspects of the traditions. In part they were successful but in fact the collapse of the Western Roman Empire in 550AD and the growth of Islamization around the Mediterranean from the early 8th century did more to curtail pagan beliefs. The late medieval ages saw a revival of pagan traditions throughout Europe to varying degrees leading to many monks and priests inventing stories that reaffirmed the connection between decorating trees and Christ’s birth. 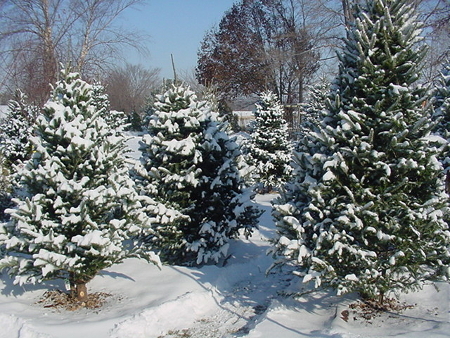 Nobody knows exactly who created the story of the fir tree becoming the Christmas tree. Medieval fables told of all living creatures attending Christ’s birth and bring whatever gifts they could. The trees too gave gifts, olives from the olive tree, dates from the palm tree, but the fir having traveled from Europe was tired and had nothing to give. Seeing how disappointed the fir tree was the angels descended and sat on its branches and casting their light as miniature stars. The baby Jesus was so entranced by the light of the angels on the fir tree that He declared that for the rest of time the fir tree should be decorated with lights and surrounded by gifts to bring joy to little children. We know that Martin Luther (born 1483 – 1546) in Germany, the man who founded the protestant movement during the reformation decorated a fir tree with lights and small ornaments for his children so that he could inspire them with the wonder of Christ’s birth. Nobody is sure if Martin Luther invented the modern form of decorating the Christmas tree or if the Christmas tree was enjoying new found popularity. Certainly at the same time there are other reports of trees being decorated with fruits, cheeses, and nuts for the benefit of orphaned children. By the 1800s the tradition of decorating a fir tree at Christmas time was well established in the German speaking nations and in some of their neighboring principalities, and thousands of small factories existed that would manufacture small glass balls decorated with intricate designs and patterns to be hung from the tree. The tradition of decorating the Christmas tree didn’t arrive in the English speaking world until after the marriage of Queen Victoria and her German Prince Albert. German and English settlers to the US in the 19h century brought their Christmas activities with them although puritan America resisted the traditions for some time, some American Christians still refusing to celebrate Christmas and decorate a Christmas tree to this day. The late 1800s gave rise to the birth of the commercialization of Christmas and the easy availability of fir trees, decorations, and lights as US department stores took to competing with one another for the best window display. The Christmas holiday season became one of their best income periods resulting in bigger and more colorful displays.